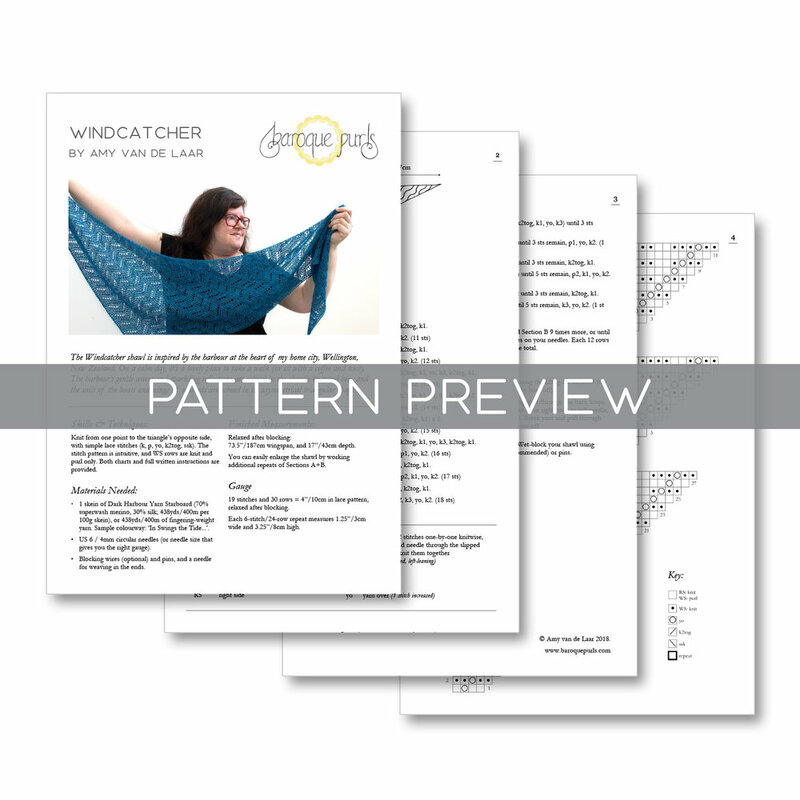 The Windcatcher shawl is inspired by the harbour at the heart of my home city, Wellington, New Zealand. 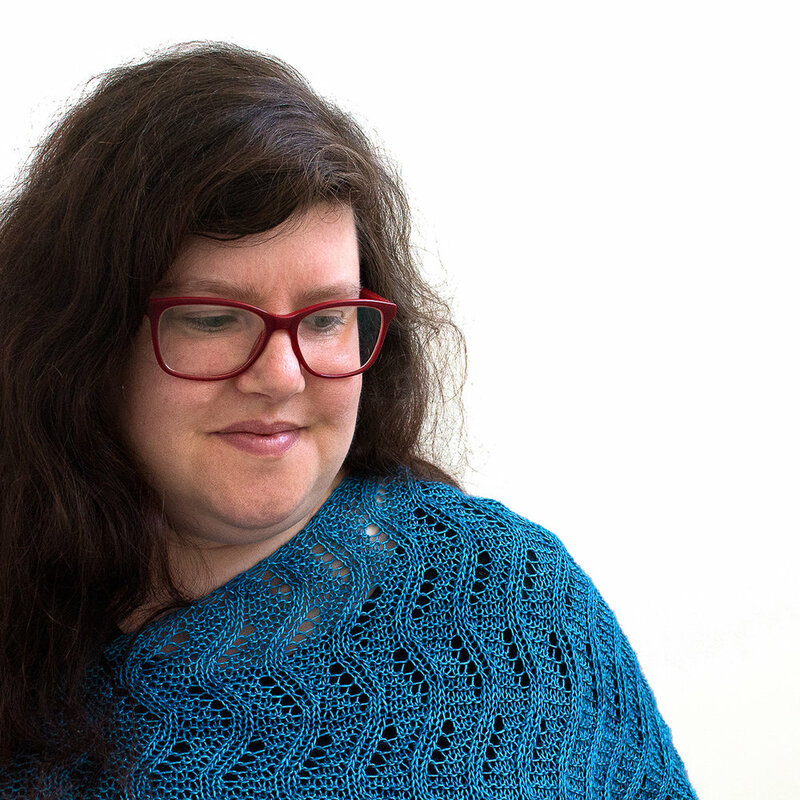 On a calm day, it’s a lovely place to take a walk (or sit with a coffee and knit). 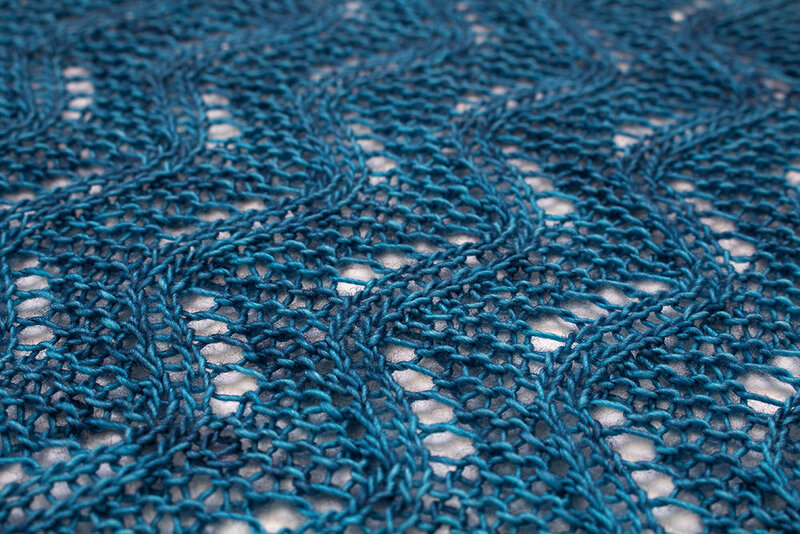 The harbour’s gentle waves and sparkling reflections are echoed in the shawl’s textured lace, and the sails of the boats and wings of seabirds are echoed in its asymmetrical triangular shape.. 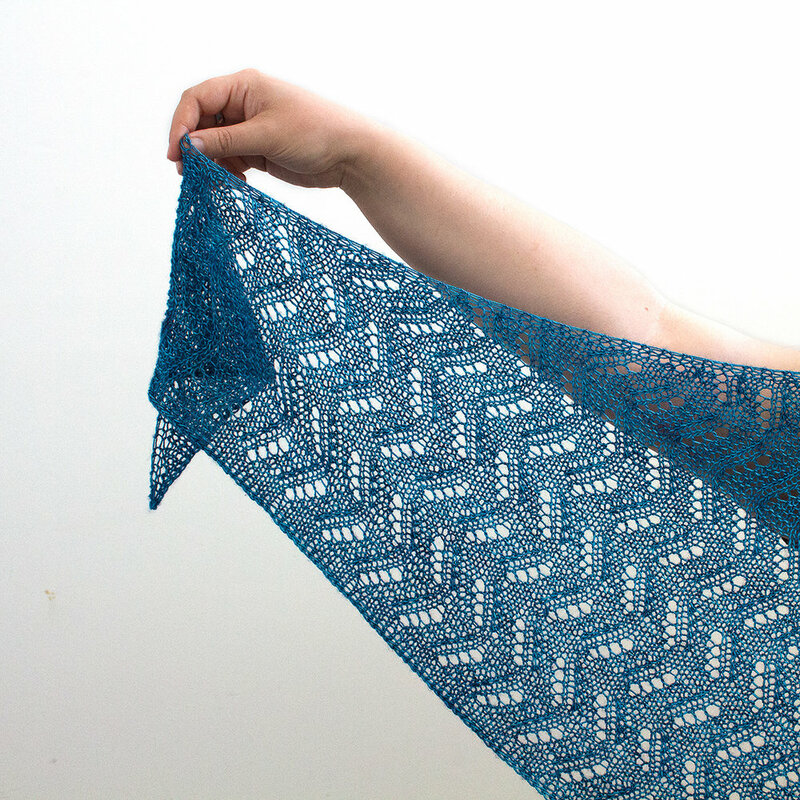 The shawl can be enlarged by working additional repeats of Sections A+B (with extra yarn).